From the deepest part of the Congo to the picturesque mountain town of golden Colorado, it’s been a long strange trip for Murray the rhino. It was once thought that Murray was born near the banks of Lake Tanganyika, but recent research has proven inconclusive. What is known is that Murray was captured in 1926 in what was then known as the Belgian Congo. He was then shipped to the private California estate of newspaper tycoon William Randolph Hearst. The tycoon, famous for his love affair with the movie star Marion Davies, would throw lavish parties at his ranch. Many of Hollywood’s rich and famous would be in attendance, including Douglas Fairbanks and Mary Pickford. But it was from Charlie Chaplin that Murray acquired his taste for hops. Chaplin, after a particular night of debauchery was found half naked in Hearst’s private zoo with an empty cask of ale. It seems Chaplin had been chasing a young starlet and fell into Murray’s pen. 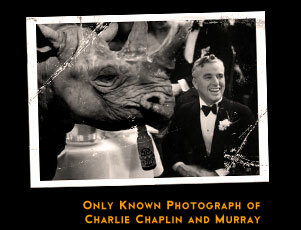 To quell the mighty beast Chaplin offered him his cask of ale and the two became fast friends. Years later when Murray was killed in a boxcar accident, Hearst had his head mounted and sent to Chaplin. 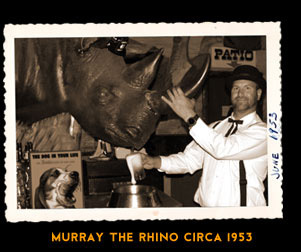 The owners of the Rock Rest acquired Murray in 1951. He now resides behind the main bar enjoying his favorite beverage �� Colorado Historic Press. During the summer of 1923 a young woman named Molly Barton took up residence in the famous Rock Rest Lodge Brothel and Speakeasy. Peaches Malone, the madam at the time, had an eye for talent, and with her bobbed red hair, fiery disposition and penchant for beaded dresses, Molly was the consummate “Flapper��. A favorite of the boys from Camp George West, Molly was relieving a young Lt. Williard of his “tension�� when the playful drunken Col. Jock “Tank�� Cotterson stole into the room and purloined Molly’s clothing. Running out to the dance floor, Cotterson laughingly announced his caper to one and all, and promptly flung the garments into the rafters. The furious and naked Molly followed Tank Cotterson to the bar where she pummeled him with her fist and feet. After a shot of whiskey, and to the roar of the crowd, Molly climbed up the post like a crazed bathtub gin soaked monkey. 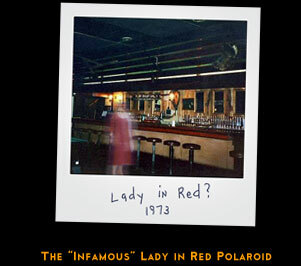 She first reached her flaming red flapper dress (which she quickly donned) to the boos of the enlisted men. Next she found her knickers wedged in the rafters, then spied her bra hanging from the antlers of the huge stuffed moose mounted above the dance floor. With the agility of a cat, Molly crossed the joists. The crowd had reached a fever pitch of stomps and whistles when Molly lost her footing. Making a desperate grasp, Molly found herself hanging from the moose’s snout. Suddenly, the mount gave way and Molly crashed to the floor. 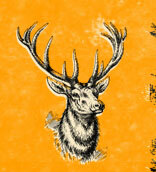 The giant beast tumbled down upon Molly, where his mighty antlers pierced the young girl’s heart. Molly wanders the Rock Rest Lodge to this day, doomed to eternally look for the bra that she will never find. Women from around the world now come to the Rock Rest to leave an offering for poor Molly in hopes of ending her suffering. If you choose to do so, you will find them hanging above the dance floor in the back room.